I've been a tad quiet for the last couple of weeks... because i've been on tour with the lovely Kim Wilde again. Although making movies eats up a lot of my time and is hopefully what i'll be doing with more of my time in the future, right now i work as a sound engineer too... and i still love it. It doesn't feel like work a lot of the time.... i get to tour all over the World with Kim and her great band who i've been working with for years and i consider some of my closest friends. This time we were touring Germany and Switzerland. 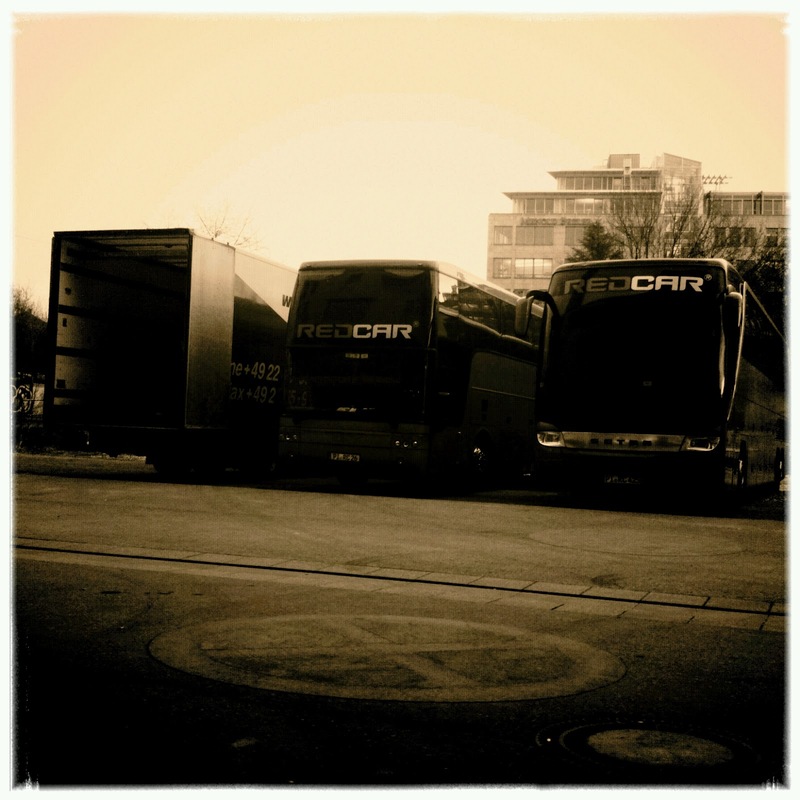 The 40Ft Artic Truck that carries the stage, PA and lights and the 2 nightliners that carry the band and crew. For the technically minded among you.. 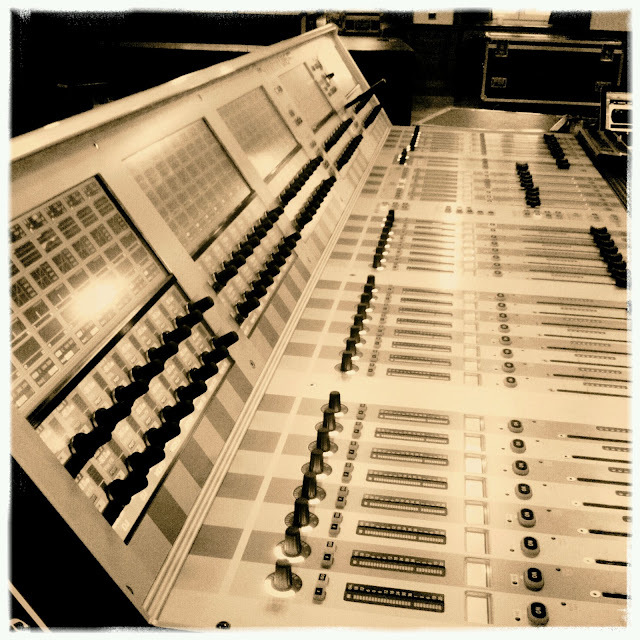 I mixed the show using a SoundCraft Vi6, with an Avalon VP737 Pre-Amp for Kim's Vocal. I used my usual Macbook Pro/Mainstage FX set-up running Lexicon Reverbs and Logic Tape Delays. 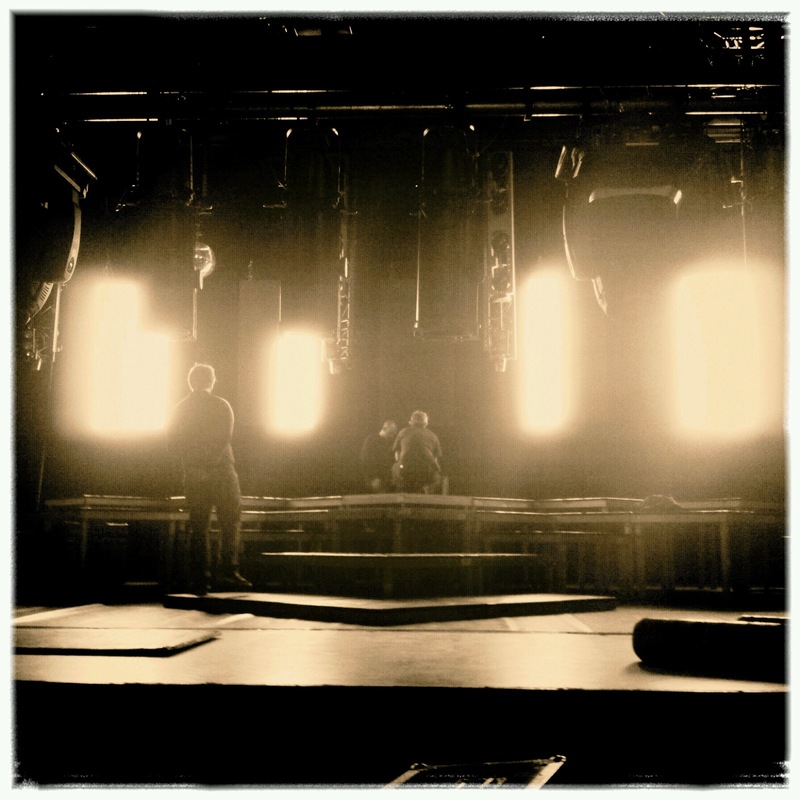 The PA system was an L'Acoustic DV-Dosc line array with up to 12 Subs (space allowing) . My System Tech was Hannes from SoundHouse in Germany, and as usual, he did an amazing job every night of setting the system up for me and making it very easy to mix on. 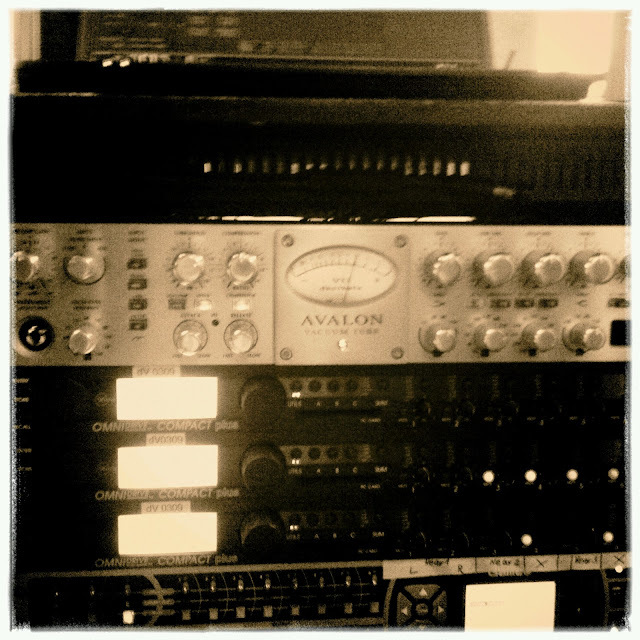 The Avalon Mic Pre and the system controllers. 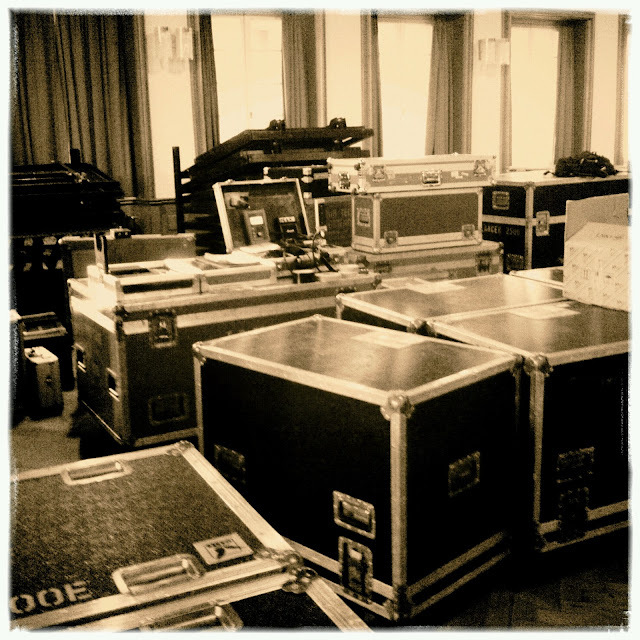 Lights, Screens PA and staging... making it all fit into very different venues was tough. Some of you may know that Jonathan Atkinson (one of my co-producers on 'The Addicted') is also the drummer in Kim's band... so we weren't completely off duty when it comes to the film. We watched the edit right through on the tourbus and Jon started work on the dialogue placment/mixing on the tourbus too! It's amazing what you can do on the move now... laptops and huge hard drives have changed everything. Since getting back to the studio today, i've already got some more of the foley done and we're still on schedule.... in fact, it's probably time we dropped a teaser trailer on you. Watch this space...very soon. You also did a gread job of tenderising my insides with the sub!